South Korea has rejected a renewed demand from the United States for sharing the costs of deploying its strategic assets on and around the Korean Peninsula, a ministry official said Thursday. The US made the demand during its fourth round of the 10th Special Measures Agreement talks with South Korea earlier this week on sharing the cost of stationing US troops here. In previous talks, Washington requested that Seoul share the costs stemming from strategic assets deployment. Seoul rejected the request, saying that the issue is not subject to their negotiations. “The US side has adhered to its previous stance and our side has made it clear that the SMA talks are about sharing the cost of the US Forces in Korea,” the official said on condition of anonymity. The talks are aimed at renewing the existing SMA deal, which is scheduled to expire at the end of this year. The two kicked off related negotiations in March. 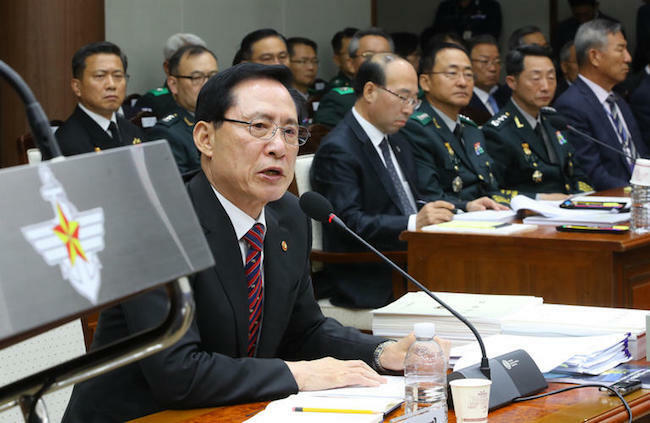 South Korea has shared the financial burden of USFK since the early 1990s. Currently, around 28,500 US service men and women are stationed in South Korea. Seoul‘s share has increased to around 960 billion won ($861 million) in 2018 under the latest five-year accord from 150 billion won in 1991. The latest talks came after the allies recently decided to suspend major joint military drills as a goodwill gesture toward North Korea for its commitment to denuclearization. The official said that the US has made it clear that there is no plan to reduce the number of its troops in South Korea and also reaffirmed its steadfast commitment to defense of South Korea.